Constipation can be much more than just a slow bowel movement. According to Ayurveda, constipation is a signal of imbalanced Vata and blockage of channels. A patient with depression or rheumatoid arthritis usually has constipation as an associated symptom. A patient with migraine can also have constipation. Thus, in many cases, relieving constipation can contribute to relief of migraine and depression as well. Even though constipation is a simple discomfort, if neglected and not treated in time, it may lead to a major problem. Digestion is like a highway. One wrong move, and everything gets backed up. Sometimes for years. So there is an immediate need to look into this health discomfort, seriously. 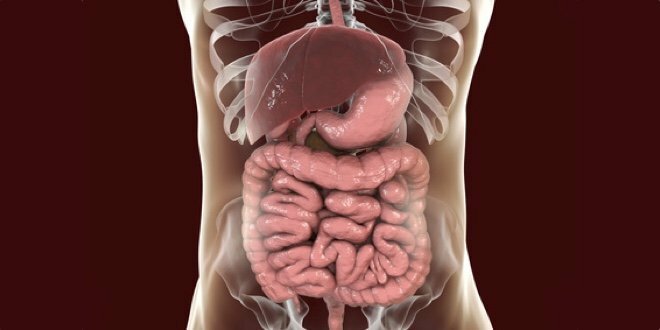 A common understanding with constipation, is that waste products are stuck in the intestines with complications arising because of those lodged or blocked waste products. However, the reason is much deeper than that. 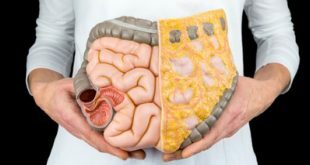 The large intestine is designed to store feces for a certain amount of time, thus, holding it for some more amount of time is not a big task for it. The real problem arises when the lack of bowel movements for a long period of time sends wrong signals to liver, brain, immune system etc, leading to migraine and such other complications. Vata dosha is responsible for constipation. Apana vayu is responsible for both holding the stool until it is ready to be expelled, and for the free flow and expulsion of stool. When the functions of Apana vayu are significantly affected, it results in constipation. The Ayurvedic terms for constipation can include: Vibandha, Vishtabdhata, Malabaddhata, Baddhavarchas, Stabdha Pureeshata, Varcho Vibandha etc. – The intake of food possesses dry, light, rough qualities. This includes any food that causes dryness of mouth, lightness in the body and roughness in skin. – Working in strong sunlight. 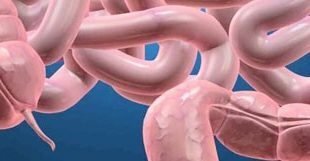 – Intestinal obstruction: structural problems such as twisting of intestines (volvulus). Allopathic antidepressants such as amitriptyline and imipramine, anticonvulsants such as phenytoin, carbamazepine, Iron supplements, Antacids with aluminium may cause constipation. 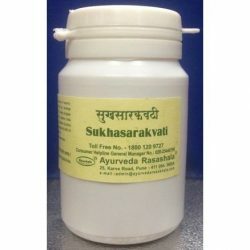 Ayurvedic medicines containing Guggulu and Sallaki as ingredients may contribute to constipation. In such patients, usually Triphala Churna is administered to nullify the side effect. Arising from Vata imbalancing factors, Apana vata is aggravated and is blocked in the lower part of the large intestine, which results in constipation. Depending upon the grade of affliction, absolute constipation or hard stool are complained of by the patients. – In some individuals, reverse peristalsis can also occur. Consider eating fruit and vegetable salad mix as part of your lunch or dinner. Consume lots of fruits, vegetables, legumes, whole wheat, corn (bran), cauliflower, raisins, cabbage, berries, green leafy vegetables, celery, beans, guava, figs, dates, flax seed, spinach, orange, mushroom, and so on, which provide fibre in your diet. Drink good quantities of water throughout the day. Note that, in a normal person, Ayurveda advises to drink water only when thirsty. But in a disease condition, such as constipation, the patient can have good amounts of water. Water along with fiber rich diet softens bowels and prevents constipation. Avoid excess of coffee and tea. However, some patients do not get bowel movement urges unless they have their coffee or tea. Then this advice is not applicable to them. Avoid excessive spicy food, heavy non vegetarian food, and fried food. Consider walking for at least 15 minutes in a day. Yogasanas for constipation: Pavana Muktasana, Uttana Padasana, Yoga Mudra, and those asanas and exercises that put pressure on the abdomen are very useful in its treatment. Do not hold the urge. The science of Ayurveda teaches that a natural urge is a signal to the person to act. It needs to be attended immediately. Regular holding of urge eventually will lead to constipation. – Drink two to four extra glasses of water a day (unless fluid is restricted). – Drink warm liquids, especially in the morning. – Drink a cup of warm water in the evening. – Consider getting an oil massage, or do it yourself. – Treatment of irritable bowel syndrome, where constipation is an associated symptoms, correction of digestion process should be given due importance. – Treatment of depression, in addition to treating constipation, depression symptoms should also be treated. – Treatment of migraine, rheumatoid arthritis associated with constipation, the disease should also be given due attention in treatment. Soak 10-15 raisins in water in the morning and consume it at night. 1 teaspoon of cow’s ghee and 1 spoon of raw sugar (in non diabetic patients) dissolved in one cup (150ml) of warm water, taken at bed time. This is highly effective against mild constipation. For those who pass hard pellets, Gulkhandis administered at night along with milk. The fruit pulp of Aragwadhais taken (10grams) along with water or milk. This helps to relieve even chronic kind of constipation. 2-4 tender leaves of Castor (Eranda) ground into fine paste, to which the pulp of Aloe vera is added. Consumption of this helps people who frequently suffer from constipation. Regular use of aloe vera in the diet prevents hard bowels. Overuse of laxatives for a long period of time eventually worsens constipation. 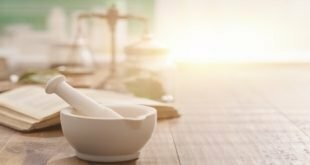 Hence, when you are prescribed a medicine for constipation, be proactive to change your lifestyle and diet habits, as explained above, so as to prevent dependency on medications. – Mridu snehana, mild oleation. – Abhyantara snehana, internal oleation, e.g. administering 5-10 grams of ghee or medicated ghee such as Sukumara ghrita. – Maha Narayana oil, or sesame oil massage for external oleation. – Triphala, Rasagandha or Sukha sarak vati, which are some Ayurvedic examples of laxatives, for virechana and vatanulomana oushadha. Castor oil. in addition to constipation, castor oil in combination with other herbs is used in many diseases. For example: Castor oil with Haritaki is used in treating rheumatoid arthritis. Triphala choorna – Useful in eye disorders, liver and spleen related disorders, a natural anti oxidant. 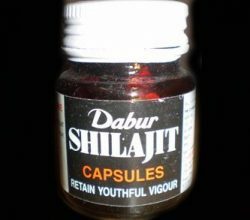 Dantyarishta – used in the treatment of hemorrhoids, constipation, gastric, intestine and spleen related diseases. 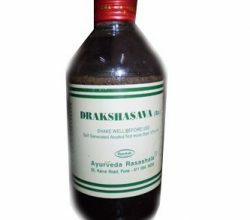 Ashwakanchuki rasa – used in the treatment of cold, cough, bronchitis, asthma, fever. 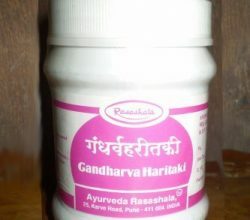 Gandharvahastadi kashaya – used in the Ayurvedic treatment of Vata imbalance, bloating, constipation, lack of taste in food. Anthrakutharam Gulika – Ayurvedic tablet used in bloating, constipation and such other abdominal conditions. Naracha Rasa – used in treatment of ascites and constipation. Erandabhrista hareetaki – Haritaki powder is fried in castor oil and is administered.